WaterAlert - automated emails or text messages are sent to you whenever certain parameters (that you define) are exceeded at one of our gaging stations. WaterNow - Send an email or text message to WaterNow@usgs.gov containing the USGS Site Number of the gage you want to query (optionally add parameter codes to customize your query). You will receive an automated response within a few minutes. 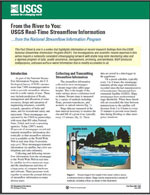 For the first time, anyone can find out the current conditions on thousands of rivers and streams across the country, right from their phone, using USGS' latest system WaterNow.WaterNow makes the water conditions monitored by more than 16,000 streamgages and other sites across the country available via text or email. 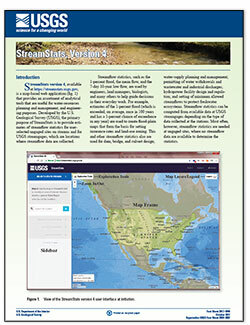 USGS WaterNow: Example of output message on a smartphone. 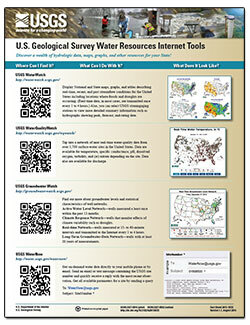 USGS WaterAlert: Example of output message on a smartphone. USGS Associate Director Jason Lambrecht talks about WaterAlert, a new USGS notification system used by managers, recreators, and many others.